When it comes to music, LOUDER is most definately better, but if your serious about music then you have to be serious about looking after your most important asset, your hearing. The Safe 'n' Sound Earplugs dont block out what you want to hear, they have been designed specifically for the attenuation of music. As a Drummer and Musician, your hearing is the most important instrument you can have, Unfortunately proper precautions are often overlooked by Drummers/Musicians. Chances are, a lot of your favorite musicians suffer from hearing loss and wish they could turn back time and wear earplugs from the beginning of their career. Hearing loss is an irreversible condition that can be easily prevented by the use of earplugs and shouldn't be overlooked by any musician or concert goer of any age. 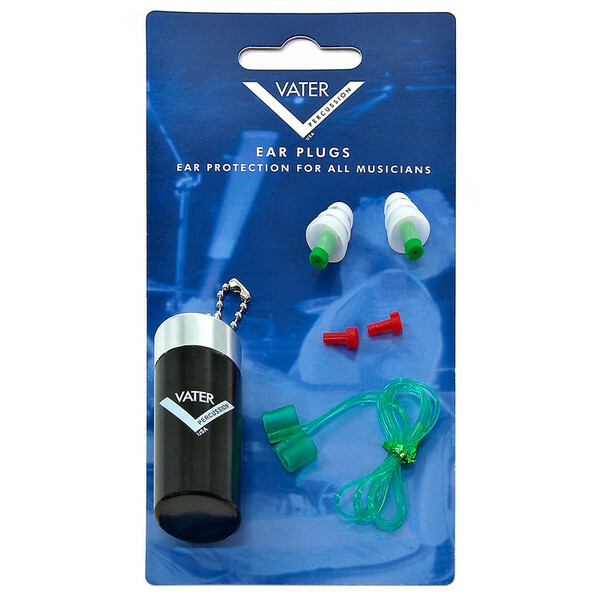 Use these earplugs when playing loud instruments in rehearsal or on stage and while attending concerts. This set of highly durable earplugs come supplied with two types of filter. These can be changed to provide different levels of attenuation. They are re-usable and they can be washed. They also come with a handy carry case to keep them safe. Obvious applications would be for gigging musicians, practising drummers and such, however the uses of this remarkable product for ear protection are potentially limitless.